Summer may be over, but why not use whatever fruits you have left for a nice after-dinner treat? I recently tried Baked Stone Fruit from a potluck and was inspired to try it out myself. 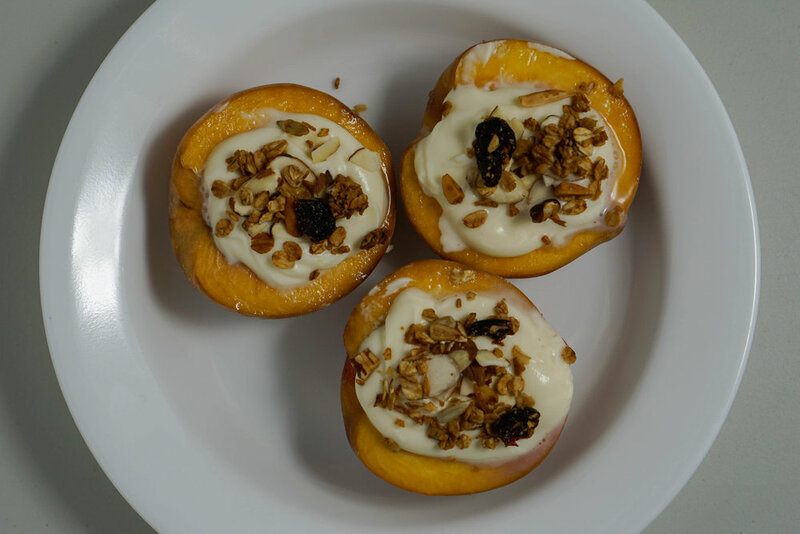 After researching multiple recipes, I came up with my own version of Baked Stone Fruit, with fruits provided by Milk and Eggs. 1. Preheat oven to 350˚F. 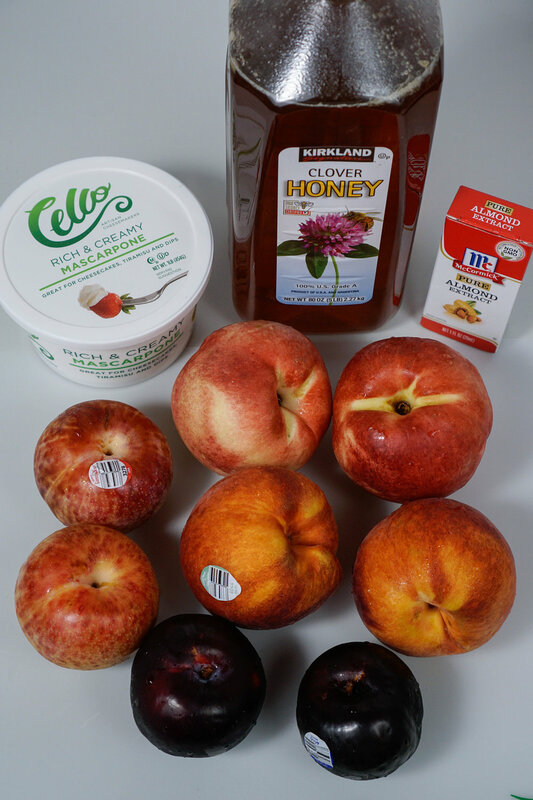 In a small bowl, stir together the mascarpone cheese, almond extract and 2 tablespoons of the honey. 2. Slice the stone fruits in half and remove the pits. Please the fruit skin side down in an oven-friendly baking dish and drizzle the top of the fruits with one tablespoon of honey. Bake for 15 minutes. 3. Move the baked fruit onto a serving platter and let them cool. Top the fruits with the mascarpone dip and garnish with honey and sliced almonds.